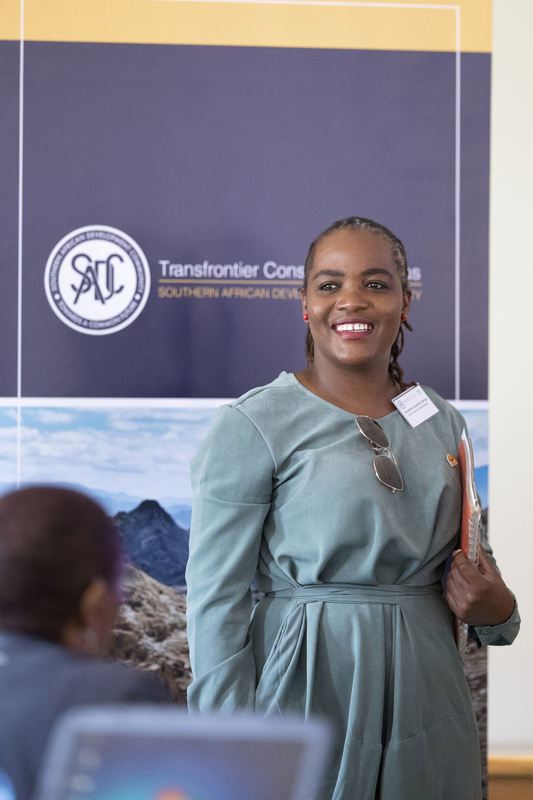 From the 16th– 18thOctober 2018, the SADC TFCA Network came together for its annual meeting. 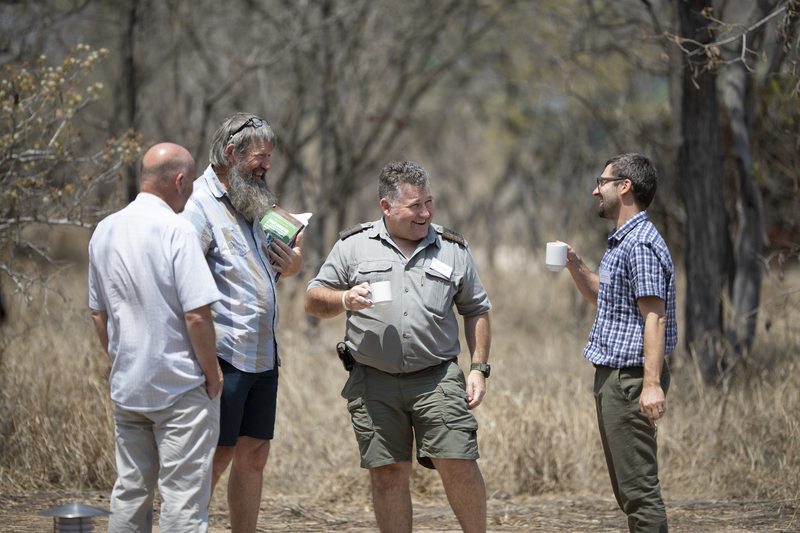 The gathering was held at the Southern African Wildlife College, close to Hoedspruit, within the Greater Kruger National Park component of the Great Limpopo Transfrontier Park. This resulted in an apt working environment, immersed in the African Bush, offering exciting daily game drives for all participants. We would like to thank everyone who attended for their time, company and inputs during this interesting and innovative network meeting. This year, sadly, we were missing one familiar face from the crowd, our dear friend, mentor, and colleague: the late Head of the TFCA Unit for the South African Department of Environmental Affairs, Mr. Ernest Mogkanedi. In memory of his recent and tragic passing in a motorcycle accident on August 28th2018, the network observed a moment of silence, remembering also the Honourable Minister Edna Molewa and Mrs. Anna Titus, a ranger of the /Ai/Ais Richtersveld TFP and front desk officer for the Desert Knights Tour. The annual meeting had several objectives aimed at understanding the progress made by the 18SADC TFCAs, and planning for a sustainable future of the individual TFCAs and the SADC TFCA programme. Prepare recommendations to be tabled at the Technical Committee on Wildlife. 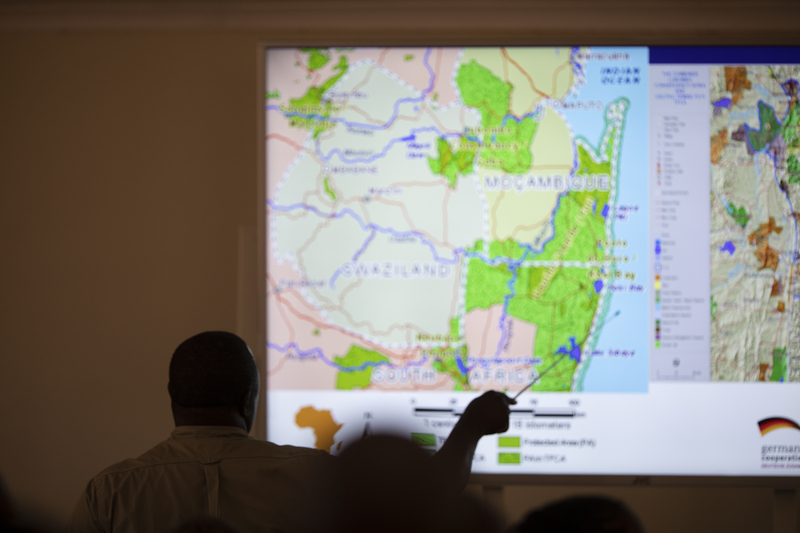 Discussions revolved around the use and implementation of the M&E Framework, ahead of the 2019 Annual Meeting, the role of the Communities of Parties as informal advisory bodies to the SADC TFCA Programme and Steering Committee, as well as the new ICP landscape in the region and the existence of international funds, which can and should be used for TFCAs. Due to the intensity of the topics, and with the wish to maximise the surroundings of the meeting, plenary sessions were flanked by more interactive arrangements such as the “Speed-dating on donor landscape” in day 2, and the working groups of critical skills for TFCA management on day 3. Overall, this year’s meeting brought together 59 participants from 10 SADC Member States, including Angola, Botswana, Lesotho, Malawi, Namibia, Seychelles, South Africa, Swaziland, Tanzania, Zambia and Zimbabwe. Of the 18 SADC TFCAs, all the existing Coordinating Agencies were present, so the feedback on progress was very rich and touched on opportunities for more cooperation in the conceptual TFCAs. Several NGOs and private sector entities were represented by the new programmes implemented in the TFCA landscapes across the region: from the well-known Peace Parks Foundation (PPF), to WWF-SA with its Khetha Programme and Chemonics with its new Vukanow programme both on Wildlife Crimes; IUCN and its BIOPAMA II, and Conservation International with the recent “Herding for Health Programme”. Governmental research agencies and International Cooperating Partners such as CIRAD (the French International Research Centre for Agriculture and Development), the United States Agency for International Development (USAID) and the German Cooperation agency (GIZ) also introduced their current involvement in the regional TFCAs, whereas the Global Environment Facility and the World Bank presented on local and global funding opportunities which should be harnessed for TFCAs by the individual countries. Finally, due to the need of the Capacity Building and Training CoP, several regional training and academic institutions attended and contributed to both plenary discussions and working groups. 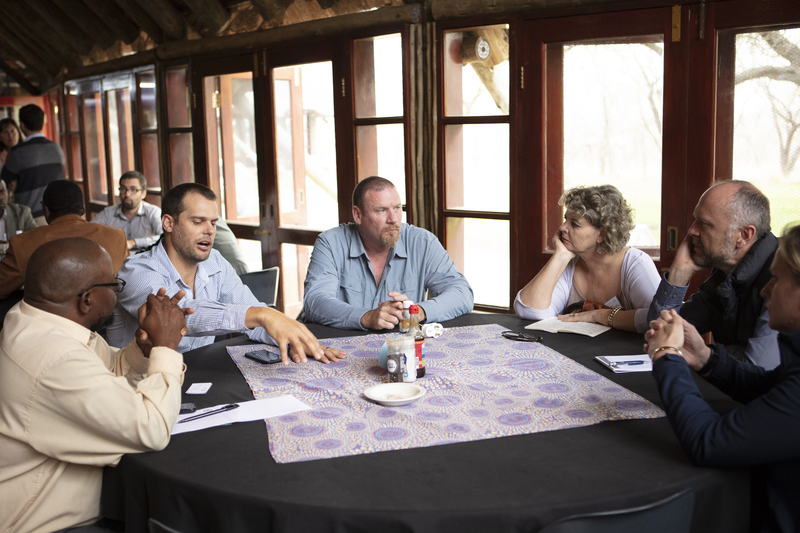 During this year’s meeting, it became clear that Transfrontier Conservation Areas are not only about conservation but also need to include community engagement for sustainable economic development and private sector, including hunting concessions, in order to fulfil the ecosystem approach, which should characterise them. This was contextualised in the focussed discussions on Co-management models for government Protected Areas, which highlighted both the successes and concerns of sharing government functions with NGOs. The next SADC TFCA Network Meeting will be held in the first Semester of 2019, please stay in touch on the Portal to know more about dates and venue. We thank everyone for their attendance and hope to see you all again and many more new faces next year! Please do like the SADC TFCA Programme page on Facebook and follow us on Twitter, @sadctfcas.